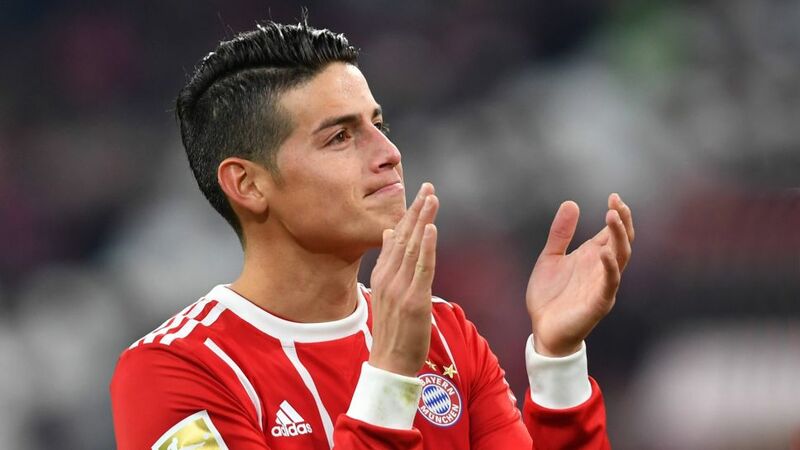 Colombian midfielder James Rodriguez is beginning to thrive within what he describes as the “healthy” environment in the Bayern Munich dressing room while improving his German skills is next on the 26-year-old’s list. The 2014 FIFA World Cup star is very much up and running in his first Bundesliga campaign, which he began with a substitute appearance in the Matchday 3 defeat away to Hoffenheim. That setback highlighted the work that lay ahead for James and his team-mates, and both have since responded superbly as they coast toward the winter break at the head of the domestic standings. Playing in a slightly deeper, central role, the former Porto and Monaco player has gone on to score twice and provide four assists in 17 games across all competitions and said he is enjoying the creative side of his game under coach Jupp Heynckes. James signed a two-year loan deal with Bayern, which will take him up to 2019 at the Allianz Arena. Asked if he has planned his future beyond that, the Cucuta native said, “Right now all I am thinking about is Bayern Munich. I have two years to go here.” Of his former Madrid colleagues, the Colombian added, “I left many very good teammates and friends in Spain and I watch them play whenever I can. I still have contact with [Sergio] Ramos, [Karim] Benzema and Marcelo." Yet it is alongside his current playing partners that James is beginning to feel more and more at home, as his on-field performances are now showing with each passing game. “All of my team-mates are very nice, good people; we have a healthy group,” he said, before adding with a laugh, “The German guys can be a little serious while those who are more playful are the Spanish and the South Americans." Could that be the perfect recipe for Bundesliga success?